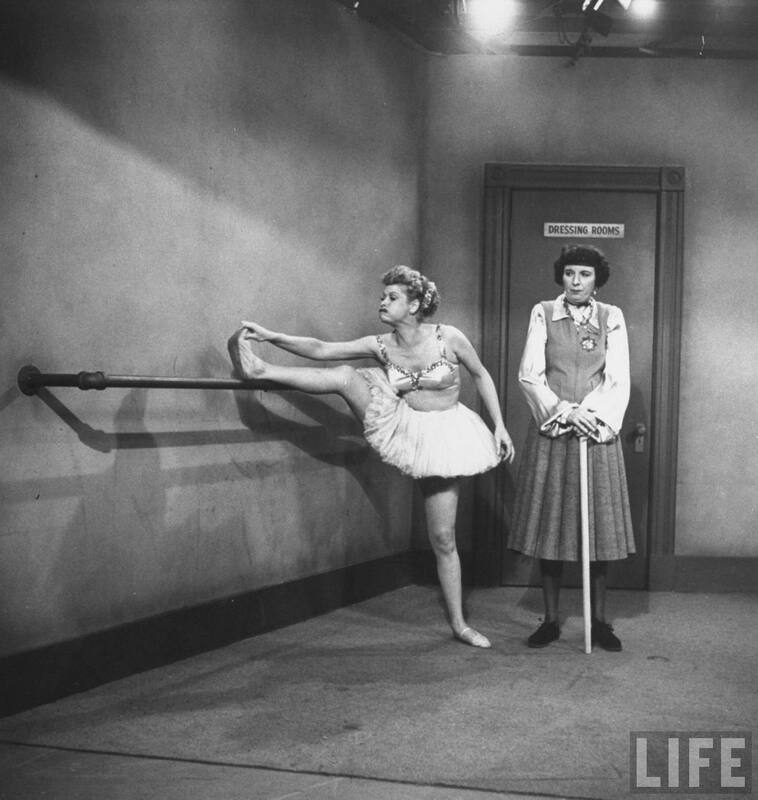 Lucy claims to have been a ballerina, to get into Ricky’s show. She goes to Madame Lamond’s class to hone her ballet skills. 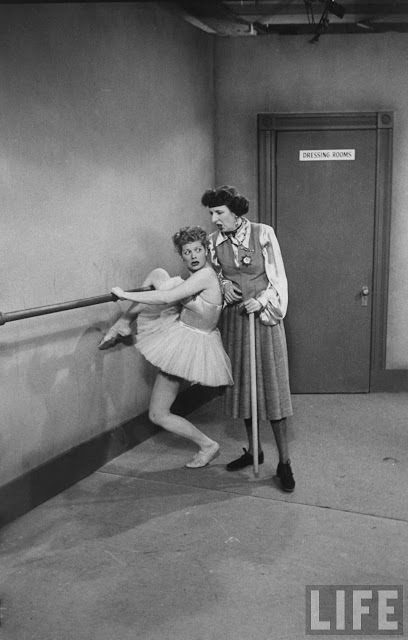 I Love Lucy’s season one episode “The Ballet” (originally airing in February of 1952) featured not one, but two veteran Hollywood character actors in guest-starring roles: Mary Wickes and Frank J. Scannell. In the episode, Scannell appears as a comic attempting to teach Lucy a burlesque act, while Wickes plays Madame Lamond, a French ballet instructor. The episode has Lucy attempting to steal the spotlight in Ricky’s show once again. Ricky has two acts to fill for his upcoming show. He needs a ballet performer, and a duo to put on a comedy act. Determined to fill one of those needs, Lucy attempts to pick up a talent quickly, in time to “help” Ricky by filling one of the show’s open slots. Mary Wickes’ career in film and television spanned from the mid-1930s to the late 1990s. Notable films in which she appeared include The Man Who Came to Dinner (1942), Now, Voyager (1942), Higher and Higher (1943), On Moonlight Bay (1951), By the Light of the Silvery Moon (1953), White Christmas (1954), and the list goes on. Making the most of every decade she spent in front of the camera, she built up an extensive filmography, but made just one appearance on I Love Lucy. Her character of Madame Lamond is comically stern, disciplining her students with a threateningly large stick. She’s not at all compatible with her lively, inexperienced student, Lucy. They engage in some very funny scenes of physical comedy, as well as a bit of banter, Madame Lamond trying (but failing, despite her best efforts) to help the clumsy Mrs. Ricardo learn the art of dance. Wickes doesn’t steal any shine from the show’s big star, instead paving the way for Lucille Ball to land gags like one in which she gets her leg stuck on the bar in the ballet studio. They’re hilarious to watch together. 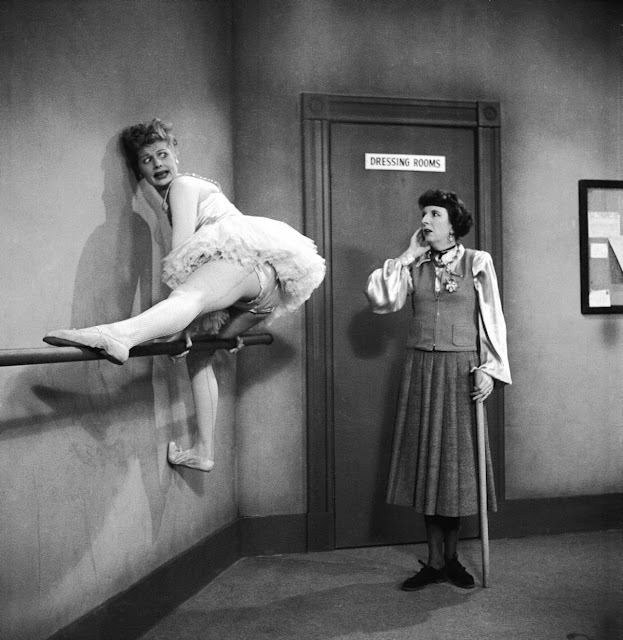 Below are some of photographs from behind the scenes of I Love Lucy’s “The Ballet” taken by LIFE’s photographer Loomis Dean.